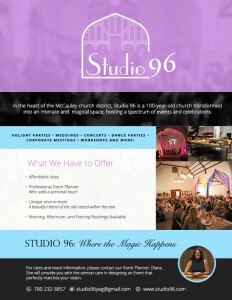 First contact with this client was actually in designing a one off poster for an event they were hosting. They fell in love with the poster designed and later reached out to us for a full website & branding redesign. We were both really happy with the finished look. Clean and simple, with a creative warmth that truly reflects the venues unique charm. 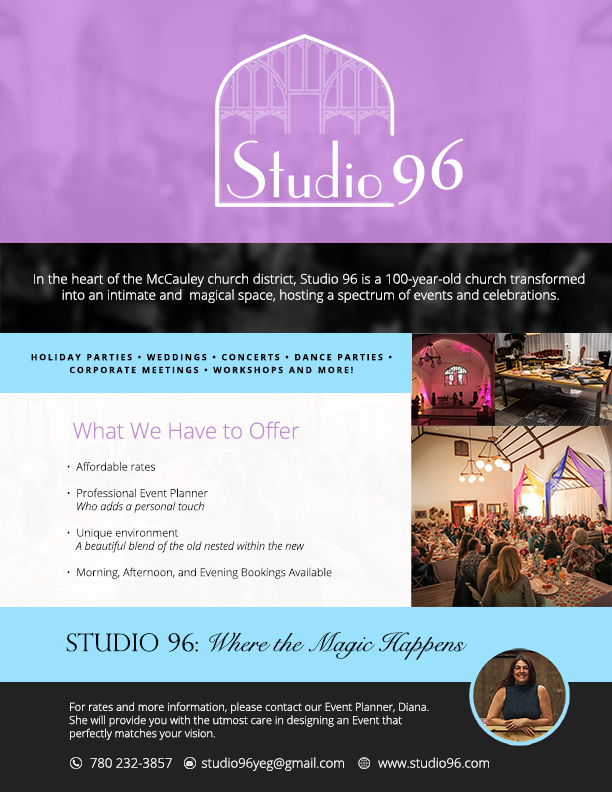 I have since enjoyed several events at Studio 96 in Edmonton, and would recommend it to anyone seeking a truly unique, creative and beautiful venue to reach out to them.